If 'VOC' sounds like gobbledygook and you have no clue what causes that funny smell, check out this primer on ecofriendly paint types for your home. When it comes to paints and finishes, "nontoxic" refers to those that have little to barely traceable amounts of volatile organic compounds, or VOCs — toxic chemicals found in traditional paints that can be released into the air for years after the paint has dried. VOCs have been known to cause respiratory problems like asthma and various types of cancer. Knowing the difference between the different types of nontoxic paints and finishes is important before you decide which one to use in your home. Natural paints and finishes. Natural paints and finishes have little to no odor and are made from natural raw ingredients: water, plant dyes, essential oils, plant oils and resins, milk casein, natural latex, beeswax. Read the label and you'll see ingredients that you can more or less pronounce. People with allergies and sensitivities to traditional paint should consider using natural paints and finishes, as they are known to be the safest. The butcher block counter above was sealed with a wax and mineral oil mixture from The Real Milk Paint Company; its natural ingredients make up for the fact that the sealer wax has to be reapplied a few times a year (although that could be a burden to those on a budget). General contractor John Whipple says, "Many of my builds cater to a more senior clientele, who are more affected by the strong odors of paints, adhesives and lacquer clear coats. Reducing smells goes a long way to making my clients happy if they are living in the property through the renovation." Whipple and his team use Honeywell HEPA filters and circulate fresh air in their smaller homes. Zero VOC. The name is a bit misleading: According to the EPA, paints with VOCs in the range of 5 grams or less are still called zero-VOC paint, and some manufacturers still use biocides, fungicides and colorants with VOCs in their paint even though it's called zero VOC. The good news is that manufacturers have upped the quality of their paints in recent years, reducing the need for frequent reapplications or several coats. Zero-VOC paint can be tinted almost any color, but it's important to make sure that the tint is also VOC free. Houzz user annierag says she used Benjamin Moore's Natura line to repaint most of the rooms in her house while she was pregnant and can attest that the zero-VOC paint she used was odor free and dried quickly. Low VOC. Instead of using petroleum solvents as a carrier, low-VOC paints, stains and varnishes use water, which emits lower levels of harmful emissions than solvent-borne surface coatings. Low-VOC brands usually carry very low levels of formaldehyde and heavy metals (or none at all). Check your paint can to see the VOC level of the particular brand, because it varies across different low-VOC products. Low-VOC paints emit an odor until dry. Another element to consider when reading labels is the solids content: Solids or pigments can range in concentration (25 to 45 percent by volume). The higher the percentage, the less volatiles in the paint. General contractor Kirk Schilling uses low-VOC paints because California law requires the use of paints and finishes that don't worsen the air quality; by January 1, 2014, it will limit VOC content to 3 percent of the product's weight. However, Schilling doesn't think that the laws are actually helping the environment that much. "Low-VOC paints don't last as long as the higher-VOC paints, so projects have to be refinished and touched up more often, which ends up being more expensive for the homeowner. I'm all for sustainable design, but this should mean that materials should be able to stand the test of time, age and stress. If we're rebuilding twice as much because of inferior products, we're just adding to the problem of the environment." 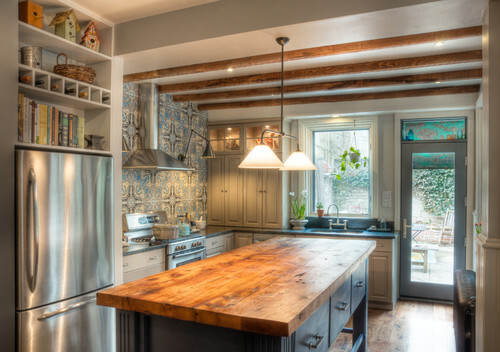 In this kitchen remodel, interior designer Lisa Kauffman Tharp used Mythic nontoxic paint for the kitchen cabinets, a brand that boasts of ultralow odor and premium paint quality, durability and coverage — without the off-gassing. It's a smart choice for a space that needs to be used and lived in during the painting. Houzz user elainelan asked the Houzz community if it's all right to repaint her apartment with nontoxic or low-VOC brands while pregnant — and it's really best to err on the side of caution. Writer Becky Harris said it best: You're better off asking your OB. See Also from Kiplinger: How Smart of a Home Buyer Are You? 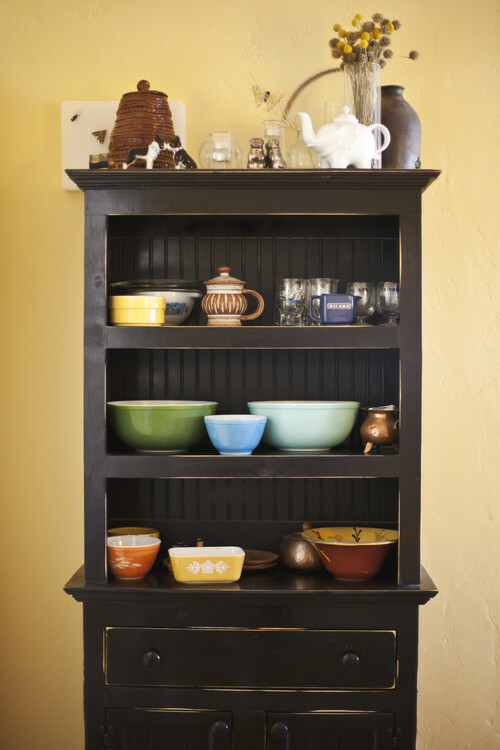 This article is from Cathy Lara of Houzz.